Staff Sarah and Peer Leader Mickey; Their dynamic charm is what got everyone to bid! What a way to start off the weekend! Friday was Evo’s big 10 year bash, and we are grateful to had been a part of it! 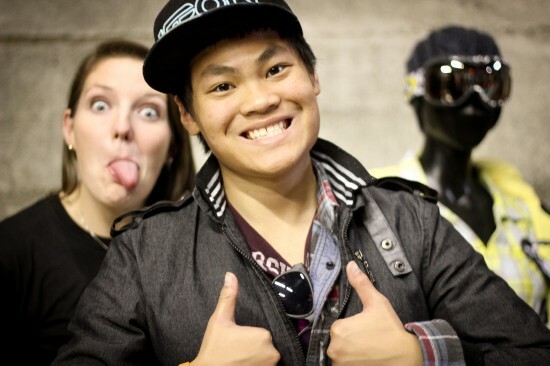 Thumping music, mannequins showcasing the latest snow gear, glowing platforms with dancing 6 year olds in wayfarers, live painting artists, a vintage snowboard gallery, free cupcakes, tshirts, stickers, food… Evo 10 Year was the place to be. Not to mention the radical line up we had for our silent auction. Trips to Mt. Bachelor, entire snow outfits, huge gift certificates, and so much more was up for grabs for DIRT CHEAP! All the entry and silent auction proceeds went to tSB, and for that, we are super thankful! Thanks for being so awesome Evo! For those who couldn’t make it, don’t be bummed that you missed out! The snowboarding industry has a lotta love for the community. 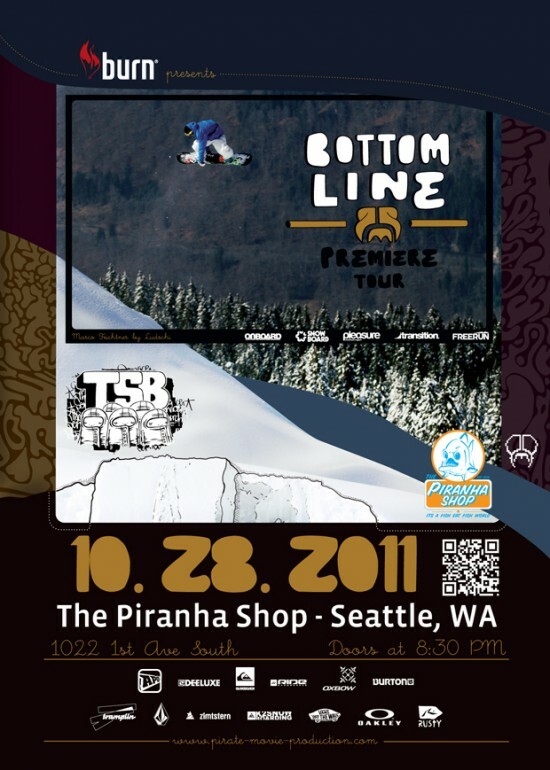 Our friends at the Piranha Shop are having a special movie premiere of the “Bottom Line” this Friday, doors at 8:30pm. tSB will be there with a raffle (cheapest way to win!) and awesome prizes, as always. See you then! Dressing as a pirate is encouraged!